Hello everybody, my name is Westin Harbison. Welcome to the first Elder Dragon Recycling article – your local MTG Deck Tech’s Commander column! Pull up a chair and make yourselves at home. I have been playing Magic since Dark Ascension and have been playing Commander for about three to four years. I am a Spike/Johnny at heart, I love to be competitive as hell but I also enjoy doing things my way, and it’s even more fun when I can combine the two. I am currently in college majoring in English. Magic and writing are two of my biggest passions and I hope to one day work at Wizards of the Coast on the Creative team or in R&D directly. Aether Revolt released just last week and everyone is discussing the explosive potential the set has for Standard and even Modern. But what about EDH? Fear not, for we did not get left in the dust either. Aether Revolt has many amazing new cards for the biggest and best format and I’m going to be talking about the best ones. The best new Commander – amazing card, amazing art. First off we have Sram, Senior Edificer. Sram is an interesting card. Giving monowhite some card draw focused on subtypes that it supports makes sense, but is mostly new territory. Will this be a continuing trend to help White draw more cards in various formats? Only time will tell but I hope so. In the 99 of an artifact based aggro deck, or as a utility creature in your Voltron build he does solid work. If he can draw you 2-3 cards he’s done his job. As a Commander however is where he really shines. He comes down early and is super easy to cast and rewards you for going hard on cheap auras and equipment. With cards like Cloud Key you can reduce artifacts from 1 to 0 mana, meaning you can turn all those “bad” equipment into free cards. Look at Puresteel Storm in Modern for an idea of where to take this deck. Once you’ve got enough, suit up Sram and beat someone to death with all those boots you have lying around now. Baral, Chief of Compliance is a very strong card. He slots into existing Talrand lists and could just as easily head the same list. He’s also good in control builds that run a lot of instants and sorceries. Sadly red got shafted as Kari Zev, Skyship Raider is really not playable in Commander. Her stats don’t start strong enough for 2 mana, her evasive abilities are helpful but again not as a 1/3 and the token being both legendary and exiling at end of combat instead of turn makes it hard to abuse. Unless you want some sort of casual pirate themed deck, I’d avoid her. The green legend Rishkar, Peema Renegade is a solid commander. It turns all your random floaters with +1/+1 counters into mana dorks and more mana is never bad. I feel that he fits better into existing “counters matter” decks than heading it himself as he doesn’t give quite enough direction. Hands down Yahenni, Undying Partisan is the breakout commander of the set. They only cost 2B, meaning they’re easy to get down early. Being a free, instant speed sac outlet is amazing and makes cards like Grave Pact even more terrifying. This sac ability protects themselves, and allows Yahenni to swing in with the haste they already have. And when your opponents creatures die, likely to your Grave Pact, Yahenni gets permanently bigger. This card is fantastic. Cards that are disgustingly good as commanders and in the 99 are always super impactful. I’m going to rate the Expertise cycle and give a quick rundown of how good they are in this format and in their respective decks. Rishkar’s Expertise – This is the best Expertise. Drawing lots of cards is always great. I’d even play this card without the rider in some decks. But adding on the ability to cast a 5-or-less mana spell for free on top of that is great, especially when you realize you can cast the cards you’ve just drawn. This suit’s Rishkar decks just fine as the number of counters means you’ll likely have high power. 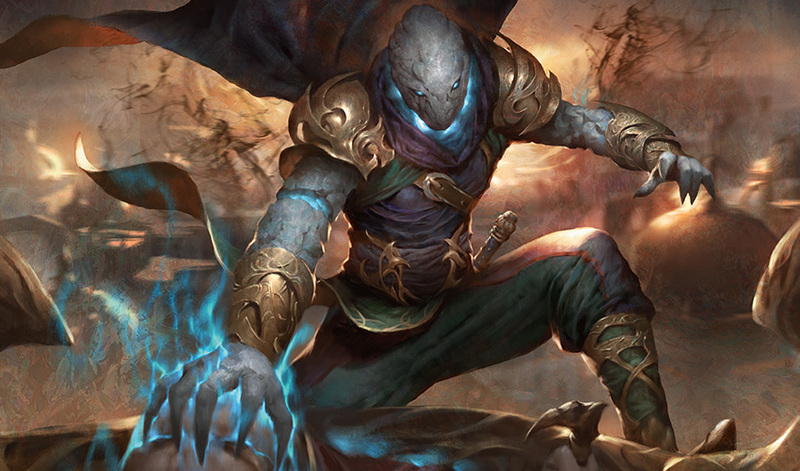 Baral’s Expertise – A very good soft sweeper,Baral’s Expertise lets you get rid of problematic targets without having to reset everything, and then you get a free card. This could also be used to bounce your own permanents and then replay one of them with the ability, netting free ETB effects. Neutral in Baral. It get’s cheaper but doesn’t play into the counterspell theme. Sram’s Expertise – This card is an incredibly efficient token maker. Four mana for three bodies is a good rate, and then you get a free card on top of that, which can likely also make more tokens. The tokens are also artifacts for when that matters. Not very good in the Sram deck since it costs a lot and doesn’t help you draw cards or advance the game plan. Yahenni’s Expertise – This card is a little worse than average in EDH. Languish is strictly better for the boardwipe effect, since -3/-3 won’t kill a lot of threats. But if your meta is heavy on tokens, utility creatures or mana dorks then it becomes pretty awesome, especially since you will play around it. This card shines the most in Yahenni – it’s not difficult for them to have more than three toughness and all the dying enemy creatures will only grow your commander. Kari Zev’s Expertise – The worst of the cycle. Threaten effects, even ones that can hit artifacts, are historically very bad in commander since they’re not even 1-for-1 removal, seeing as the opponent gets their card back. It’s also hard to have spells that cheap that you also want to cast in the same turn. Neutral in Kari Zev since she is a bad commander and provides no direction. Now onto the individual cards that stand out in this set. I don’t have time to talk about all of those cards but I will be highlighting the most important. Indomitable Creativity – This card is incredibly powerful. It’s an XRRR Mass Polymorph which means you can replace your opponents best creatures with random dudes or artifacts from their deck or even better you can sacrifice your own tokens or extra mana rocks and turn them into huge threats. This card really shines in Purphorous builds, Goblin tribal decks and any deck specifically built around Mass Polymorph style shenanigans. Whir of Invention – Many have referred to this card as a Chord of Calling for blue and they’re not too far off. Being able to reduce the cost of your spells has always been super powerful but the Improvise mechanic has some flaws in EDH. The vast majority of artifacts on the field at a time are mana rocks. This means they’re not tapping for improvise. So what helps you? Three things – equipment/Vehicles, artifact token creatures and static artifacts. The number you’re playing will determine how often Improvise will reduce the cost of your card by more than 1 mana. If you can’t do that consistently you’re better off just playing it like Improvise doesn’t even exist on the card. Onto Whir itself, this is super powerful. More Tinker style effects are never bad and the ease of having only one X in the cost is offset by the triple blue. But if you can find room and time to cast Whir of Invention, it should be either winning you the game or getting you that much closer. Aid from the Cowl – This is one of those weird cards that does literally nothing if it’s not turned on but when it is it’s fantastic. It calls to mind Lurking Predators which was just reprinted and rewards your for playing big permanents. Revolt is like undying but so much more open ended. Sure your creatures can die but they can also blink, return to hand, get exiled and so on. Plus it counts any permanents! Your fetchlands, your Clue tokens, they all turn on revolt. This is the best revolt example for EDH as the reward to cost ration is so high. Pia’s Revolution – Athreos for artifacts. Playing eggs? Kill everyone OR kill everyone. Daretti let’s you get card advantage or free damage. There’s so much this card can do and after a certain point you can target lower life players for free cards or choose those on the throne to whittle them down. Ridgescale Tusker – Award for best common/uncommon in the set. Amazing stats and amazing counter spread. Blink this thing to build your own Craterhoof Behemoth and turns tokens into huge threats. Winding Constrictor – Instant include in any counters matter decks like Ghave and also slots nicely into Meren and Atraxa. It essentially acts as a second Hardened Scales. Beware of the fringe downside of being incredibly bad versus Infect decks. Very close competitor for best uncommon, loses just barely because it is 2 colours which makes it harder to play in more decks. Ajani Unyielding – One of the better Planeswalkers to grace us in a few sets. The plus will almost always draw you at least one card, the minus is Swords to Plowshares which is great removal and the ultimate should win you the game one way or the other. Slots best into Superfriends builds like Atraxa or slower GWX decks. Planar Bridge – This card is weird. If it tutored it to your hand it would be overcosted like hell but putting directly onto the battlefield is space usually reserved for green with Natural Order and the like. This lets you cheat any permanent onto the battlefield. This gives you access at instant speed without the card being countered. The downside is the incredibly high cost to cast and activate the Bridge as well as it being the second most vulnerable card type in Commander. Green has better options, Black can tutor better, Blue doesn’t need this. This probably slots best into Mono Red, colourless and bigger Boros builds. Lifecrafter’s Bestiary – Wow. Some things have come a long way. 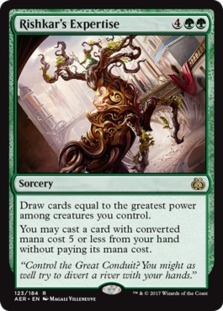 Glimpse of Nature is a card so powerful that it’s banned in Modern and single-handedly fuels Legacy Elves. This is not Glimpse but it can have a similar effect on the game. Whether you’re playing tons of tiny elves in your Ezuri build or just powering out huge monsters in Naya, turning all your creatures into cantrips is powerful. This also dodges boardwipes and you get to scry 1 each upkeep. This card is amazing. I suggest picking up copies now because I wouldn’t be surprised if this climbs in price in the long run. Gonti’s Aether Heart – Taking extra turns is pretty powerful and in recent years WotC has recognized this and started putting exile clauses on all extra turn cards. This makes sense seeing as any Eternal Witness can get you that card back and allow you start taking infinite turns. And no one has fun during infinite turns. This card is good for the Energy decks, should they exist, and not much else. It’s worse than any blue Time Walk and the only non-blue artifact deck that would want this is Daretti, but exiling itself makes it a bit of a pain to use. Time will tell if this one sees any play. 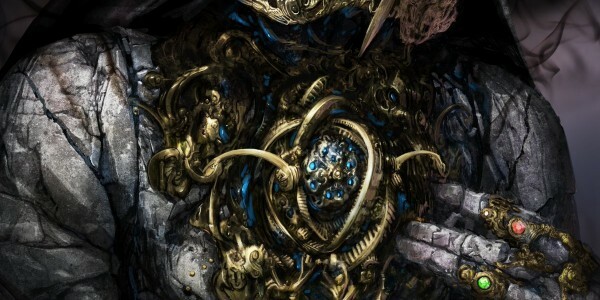 Paradox Engine – Engine is the most powerful card in the set with absolutely no room for argument. This card will help enable so many combo decks to win even faster and more consistently, and even when you’re not being degenerate and winning the game the turn you cast or untap with this, you’re still getting far more value than a single card should give you. It’s gross and I plan on playing it as often as I can. There’s a lot of discussion over whether Engine should be banned, and while I don’t think that argument has merit for multiple reasons, know that it is always possible. Spire of Industry – A great new land for Commander. It’s not difficult to have miscellaneous Sol Ring’s or the like and then this becomes another copy of Mana Confluence. And in artifact decks this is guaranteed to be activated easily. Especially useful in Breya and Sharuum. There you have it, the EDR review for Aether Revolt. I couldn’t comment on every card but this should give you a great idea of what this set is bringing to your kitchen table next. Have an opinion you want to share or a question to ask? Feel free to drop a comment below and I’ll see you next time. Join me next time when we try to figure out what to do with all this brand new Energy that’s been floating around. Aether Revolt, Commander, EDH, Elder Dragon Recycling, magic the gathering, MTG, MTGDecktechs. Bookmark.